MG: So why did you decide to kick-start this project at UCL? AL: We got a grant in 2017, through the ‘Liberating the Curriculum’ initiative at UCL, to look at practically creating an inclusive curriculum. During the course of this project, we received feedback from a public engagement event, which said we should look at decolonisation. We were then awarded another grant as a collaboration between UCL Medical School and UCL Culture to look specifically at ‘decolonising the medical curriculum’ in order to expand our awareness of this area, which we knew very little about.4 I’m originally from Sri Lanka, a previously colonised country, and I suppose that background also piqued my interest in this area. RB: Have there been any particular moments in your own careers or your own practice that contributed to your wish to work on a project like this? FG: I guess for me: I do a lot of writing and work with medical students. We look at things through our own lenses. I think we are at a time where there is a lot of onus on people being equal and important, and on challenging marginalisation. I think it’s really important to critically look at what’s happening, and to give people a voice. Traditionally, we’ve been very good at starting to think about that from the patient perspective: patients having a voice. We’ve probably been less good in medical education at giving students a voice, so I suppose I’m coming at it from more of a student-centred perspective. AL: Yes, both our projects were staff/student collaborations, it wasn’t a top-down endeavour. And we also wanted the public voice in it, in order to reduce our own unconscious biases, I suppose, and to hear all voices. MG: What would you say is your desired endpoint? What would you like to have achieved by doing this? FG: I think from my perspective, I’d like to see a fairer curriculum that is more representative of both the students and the end user – the citizen or patient – that we are here to serve. I also like innovation – it’s in my personality to enjoy looking at things differently. 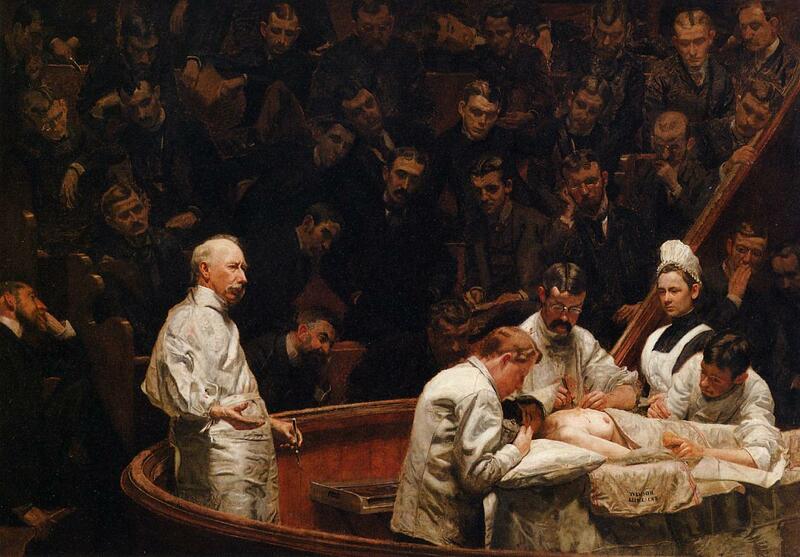 We are probably the first medical school, certainly in the UK, to start looking at this. This is pretty unique work. But it’s not just medical schools. Certainly within higher education at places like UCL, this is a strategic movement; it covers BME attainment gaps, decolonising curricula, discusses power and ‘powerful knowledge’, and makes students instrumental in designing curricula. So there’s a big drive across higher education, but it hasn’t filtered yet into medical education – perhaps more in the politics/social science arena, where people are starting to think about this. I suppose the endgame is producing a curriculum that’s fairer, more palatable for some people, and that serves students and the citizen in a more contemporary way. AL: Yes, I’d agree with that. I’m very much a patient voice champion. I’ve led other ‘maternity voices’ projects, where patients have given us video-based feedback information that sometimes is uncomfortable for healthcare professionals to hear. However, listening to these voices is essential to improve services and medical education. Doctors of the future need to understand that we should embrace that type of feedback for improvement. And it’s this ethos that attracts me to the exploration of decolonisation. The diversity and equality agenda can be institutionally very top-down and political, and can be tokenistic as we said in our article. But decolonisation is very much, the people have said: “Look, you’ve missed this out in diversity education … you have not picked this up.” This part of medical education belongs to a social justice movement that is worldwide really. It’s a different world really that has suddenly evolved in the last five years where people can actually say that you’re challenging a power hierarchy, and that is seen as a valuable thing to do! Five or ten years ago it would have been thought of as rebellious and troublemaking. Whereas now this is perceived as a way to co-create a better society. FG: Social justice is a strong theme here, and I think it is infiltrating very strongly into the social sciences, but maybe less into the medical sciences. I don’t come at this with a political agenda, an axe to grind; I think we need to keep it ‘academic’ (FG’s emphasis). I think we need to be pretty thoughtful about how we present this, it should be from an intellectual and an academic standpoint as opposed to a personal or political one. It is political, but I want to come at it from a more scholarly stance. RB: When you started off with this project, did you encounter a lot of resistance from the medical school, or any other people in particular, towards the idea of what you wanted to do with this? AL: No, I don’t think so, as I think the pan-UCL Liberating the Curriculum (LTC) initiative has paved the way, from the top of the UCL hierarchy, for all of its department to follow. LTC’s mission statement is to ‘work to challenge traditional Eurocentric, male dominated curricula and to ensure the work of marginalised scholars on race, sexuality, gender and disability are fairly represented in curricula’. Our initial grant came from that group, so the medical school welcomed an exploration of this area. FG: And I would add to that: I think we’re riding the crest of a wave that’s pervading throughout higher education and elsewhere, with #MeToo, etc. But I think it’s thorny. First of all, people don’t understand what decolonising means. You’ll see that we made a slightly light-hearted joke [in our BMJ Blog] about the fact that people thought it was about stool! They knew it wasn’t, but nobody really understands particularly what it does mean. It’s a very new word. But what I don’t want is for the pendulum to swing so far the other way. I’ve had a couple of comments from faculty about the fact that, actually, white males find some of this stuff that’s been written a little bit unpalatable. So we need to do it in a very sensitive way, because it is a really sensitive topic – it’s very emotive for people. We don’t want to come across as militant or that we end up harming or hurting people in the process, for the sake of an agenda. So that’s why I come back to that aspect of trying to keep this scholarly. MG: Of the changes that you’ve made, what do you feel is the most important one that you’ve managed to bring forward, and how would you say it’s been received? FG: I think for me it’s not so much measurable – not at this stage anyway – with, say, outcomes or key performance indicators. It’s about getting an idea out there, disseminating and sharing good practice by writing about it in peer-reviewed publications. I think it’s about making students, faculty, and the public aware of the kind of thing we’re doing. This is one aspect in a massive portfolio of clinical and professional practice; there are hundreds of things going on. This for me is about disseminating an idea, starting a conversation. AL: Yes, starting a conversation is a good way of putting it, and that’s really all we wanted to do in terms of the decolonising project. Even with the initial project, we just wanted to see where the conversations lead. We didn’t want to have fixed objectives for it; it was all about seeing what came creatively out of conversation. RB: I know you might have touched on a few of these ideas already, but we were wondering what you think the main differences might be in decolonising or liberating a medical school curriculum as opposed to any other university course? I’ve read about the work that SOAS is doing, and as you said, in terms of social sciences and politics, it seems to be a bit more developed in some courses than others. AL: I can see from the projects around the social sciences and other humanities that they’ve really concentrated on reading lists, as well as perhaps diversity amongst teaching staff. Also to create more staff-student conversations about teaching materials, to make them broader. I suppose with medicine the end-point is creating doctors of the future who can deal with the complexity of our populations. Our work on curriculum mapping showcased research on racism as experienced by students (Dr Katherine Woolf, UCL), as well as on other curriculum areas such as violence against women and improving professional encounters with LGBTQ+ patients (Dr Jayne Kavanagh, UCL). We also talked about how symptoms, signs and blood biochemistry differ between ethnic minorities, and thus how we could be over- or under-diagnosing conditions in these groups if we stick to the white European norm. And then another part of decolonisation, which is not focused on equality and diversity, is the re-centring of indigenous ideas in terms of how we think about how people heal and don’t heal. So we haven’t quite put the end product into its final form, but these are some of the areas we’re thinking about. MG: So when you talk in your BMJ Opinion piece about the idea of a hidden curriculum, and how medical training can be seen as almost ‘colonising students, patients and doctors’ (I quote directly), is that the sort of thing that you are alluding to? Because RB and I were discussing that, as students, it’s quite difficult for us to read between lines of material we’re given – the hidden curriculum ends up being much more hidden. FG: Some of that is very widely written about and documented, so you find in most learning institutions that there are essentially three types of curriculum. There is the formal, written curriculum that we teach you; there is also the informal curriculum, which is to do with what faculty don’t necessarily document that you’re learning; and then there is the hidden curriculum. It’s almost impossible to map informal and hidden curricula, so maybe it’s actually technically impossible to map a curriculum using those standards. Howard Stein, who is a medical educator, writes that we ‘colonise medical students, doctors and healthcare professionals’ because we give them certain messages and we teach them a certain way to be.5 We’re teaching you in a way that shapes you into a certain type of person. This is why we referenced the poem by Allison Hill in our BMJ Blog [Reflections of a Pruned Medical Student], which is about a medical student who actually felt like a piece of topiary at the end of their training – they felt that they came out very angular and sharp and shaped by a mixture of the formal, informal and hidden curricula. AL: Yes, the hidden curriculum is where medical students and doctors form unconscious biases from their training. They become assimilated into a culture and then they don’t know what they don’t know about these cultural biases. In both projects we’re trying to reduce medical unconscious bias, in terms of personal development and progression as a doctor. This is an effort to encourage students to be fairer doctors… fair and kind doctors, I would say. FG: Medicine is moving a bit faster than medical education, so some of these ideas are there in the clinic with patients, but they haven’t yet filtered into medical education. It’s not so much that we’re taking a radical approach and reframing, what we’re doing is acting like ‘critical friends’ – this is a very common social science idea. It means that we look at the curriculum critically, in an analytical way, to make our curriculum fit for practice, and to meet things like the GMC’s recent Outcomes for Graduates document.7 We’re trying to tweak the curriculum so that it reflects some of the things in the real world. That’s what I’m trying to do. AL: With respect to the LGBTQ+ sessions at UCL, they have been written by our esteemed colleagues, so we didn’t actually do it, but we embrace all the activities of our colleagues, champion their work, and present it in terms of the creativity is going on amongst the various tutors that write good sessions. FG: And it’s very difficult because your curriculum – I don’t have to tell you as final years – your curriculum is very full, and what is and isn’t considered ‘core’ is a philosophical and existential question. Undergraduate medical curricula have been described as overloaded – there’s no way to include everything that everyone thinks is important. So we just have to plant the seeds. This is just one tiny piece of a puzzle that we hope will help give you tools to make you good doctors. MG: You mention that you’re working very much from the Clinical and Professional Practice point of view – would you like to see this sort of approach taken in the core science curriculum that we undertake as well? There have been large numbers of documented cases where a major contribution to medical science by somebody who is not white, straight or male has been overlooked purely because of those factors. Is that something we should be addressing in our core science curriculum as well? AL: Well I don’t think we have any jurisdiction over the core sciences, but certainly that’s what UCL and its Liberating the Curriculum agenda is encouraging. That’s as much as I can really say. FG: Exactly, we have a limited remit as to what we can encourage. Of course, those wrongs are peppered throughout the whole of society, not just medicine. It’s about fairness and true representation, and what we’re trying to do is just to start a conversation. AL: There are many aspects to this. For instance, in our public engagement event, one of the students actually wanted mental health teaching to be changed to include looking at it from an anthropological perspective, in terms of mental health being seen through different eyes in all types of society, in indigenous societies, and even in other ethnic backgrounds. We’re, again, starting the conversation with our colleagues. FG: Well I’d throw that back at you as a friendly challenge, and say that by putting the emphasis on it only within certain modules, that’s almost counterproductive, because what we’re trying to do is to provoke questions and create an ethos, so I personally don’t want this to be siloed. Yes, there could be areas of general practice or mental health to which this might be particularly applicable… however, I think it’s everybody’s business. Like lots of things in the curriculum, like Clinical and Professional Practice, it’s specifically ‘vertical’ – in other words. in every aspect of your MBBS [the medical degree] undergraduate curriculum. These are generic, everybody’s business issues, so in order to treat them as such, their flavours should permeate throughout the curriculum. Some responses have been edited and/or truncated for clarity. Stein H. Foreword to The Inner World of Medical Students: Listening to Their Voices in Poetry, by Johanna Shapiro. Taylor and Francis. 2009. Dr Faye Gishen is a consultant palliative medicine physician at the Royal Free Hampstead and a clinical academic at UCLMS, where she is Academic Lead for the Clinical and Professional Practice component. She is currently completing her doctorate on professionalism, and leads the curriculum mapping exercise at the medical school. Dr Amali Lokugamage is a consultant obstetrician and gynaecologist at the Whittington Hospital in Archway and is a Deputy Lead for the Clinical and Professional Practice component at UCLMS. She maintains a keen interest in human rights in childbirth as well as human rights in general healthcare. As a result, she has become acutely aware of the need to improve professionalism amongst medical trainees. Roohi Bhatti and Mark Gavartin are both final year medical students at UCL, due to qualify in the spring of 2019. They took on this project through an interest in social justice and medical education, and are very grateful to Dr Gishen and Dr Lokugamage for answering their questions.